We offer fully heated indoor storage at one of the lowest rates out there. Store anything from boats to motorcycles. Our outdoor storage has 24 hour access so you can grab your vehicle whenever you need it. Our 24/7 high tech security system helps also. You'll receive your monthly invoice via e-mail so that you can pay it from a computer, tablet, or even a phone. 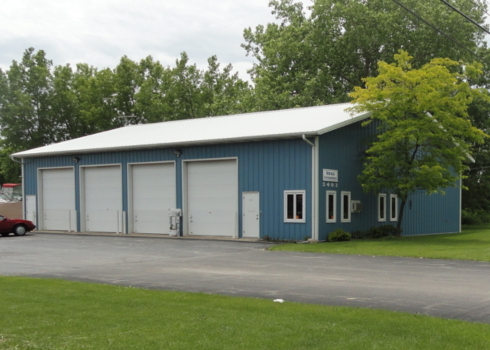 At Savage Enterprises, you can store your boats, motorcycles, ATVs, RVs, snowmobiles, jet skis, and more in our outdoor storage or in our heated indoor storage. Our outdoor storage even has 24 hour access for your utmost convenience. We're located near Winthrop Harbor, Kenosha, Waukegan, and the Chain of Lakes. This means we're also close to the Kenosha Marina, Winthrop Harbor Marina, and the Waukegan Harbor. © 2013 Savage Enterprises. All rights reserved. Design by FreeCSSTemplates.org.